Organocuprates (or Gilman reagents) will add to α,β-unsaturated ketones to give 1,4-addition products (or Michael addition products). Acid is added at the end of neutralizing the compound. Organometallic reagents can add to α,β-unsaturated carbonyl function in either 1,2- or 1,4-method. Organolithium reagents react by a direct nucleophilic attack at the carbonyl group. And Grignard reagents are not useful because may give 1,2-addition, 1,4-addition, or both. But organocuprates (or Gilman reagents) is very effective in giving rise only to products of conjugate addition. They are highly selective in undergoing 1,4-addition reactions. In the first step, one of the methyl group of Gilman reagent attacks the β position of ketone. 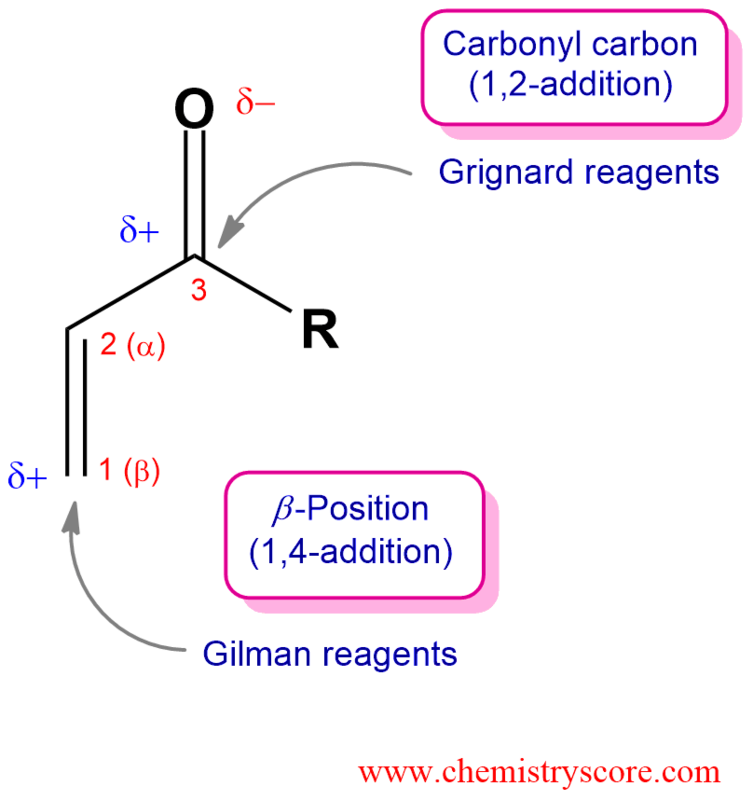 The carbon-carbon double bond breaks, forming resonance stabilized enolate. In separated step, this enolate will be protonated by an acid, forming conjugate addition product (ketone).